Line a 20cm x 30cm slice tin with non-stick baking paper. Following the packet mix instructions, place the cake mix sachet, grated carrot, oil, eggs, half the coconut and pecans in a large bowl and mix until combined. Pour mixture into the prepared tin and cook for 35 minutes or until cooked when tested with a skewer. Set aside to cool in the tin completely. While the cake is cooling, make the icing. Place the icing sachet, cream cheese and milk in a bowl and mix until light and smooth. You can use a spoon or an electric mixer if you prefer. 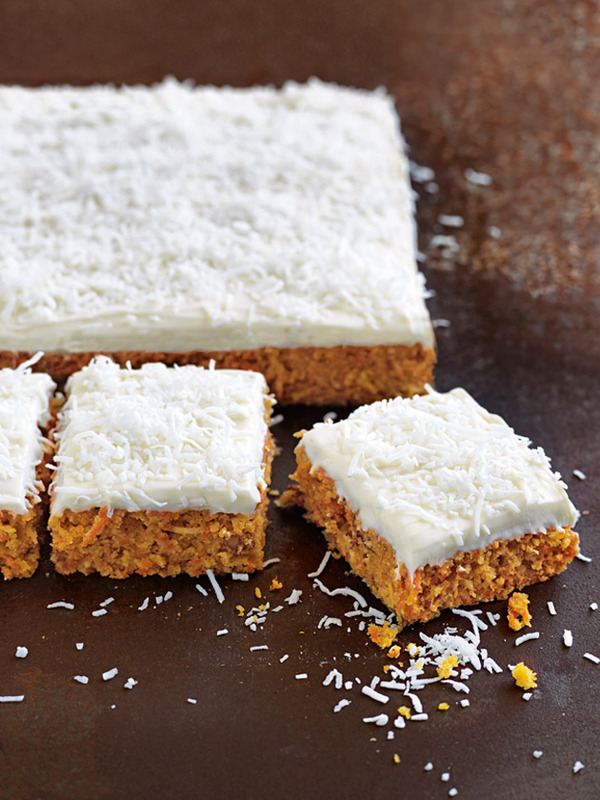 Spread the icing over the cooled cake and sprinkle with remaining coconut to serve. Serves 12.